I spotted this neat calendar that actually comes as a book and wanted to share it with you because I think it's a neat small space d.i.y. i love the idea of going big in small spaces to make a design impact, like large canvases. 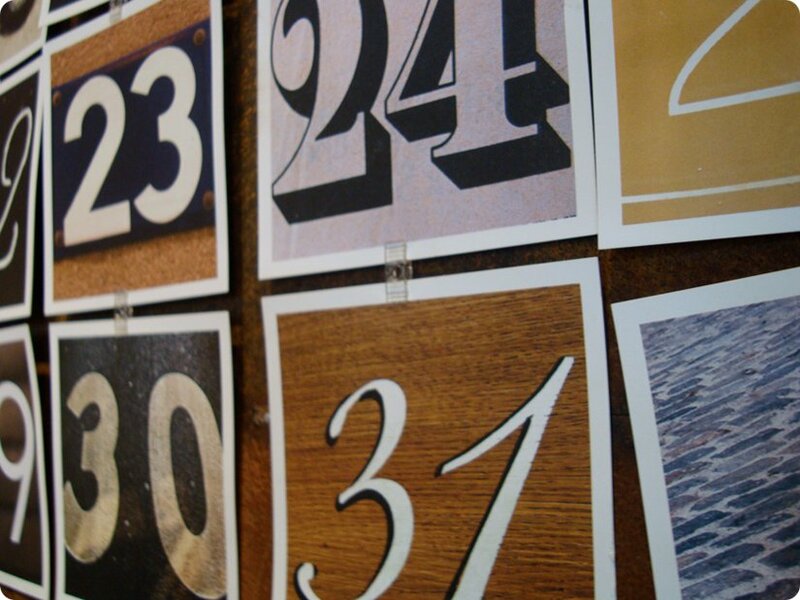 find your fave number images, design your own or go shoot some in your town (different building addresses could be cool) and create a border template. Color them in Photoshop and print them out on card stock. Any craft store sells little connector tabs or hole punch the top and use colored string. Hang it big on an accent wall and now you have a fab art piece AND a functioning calendar. Just move the cards around with each new month. Love! 2 Responses to "small space d.i.y. Absolutely love this calendar, Little Brown Pen did such an exquisite creation. Did you purchase it? It's been on my wish list for the longest time. That's awesome. 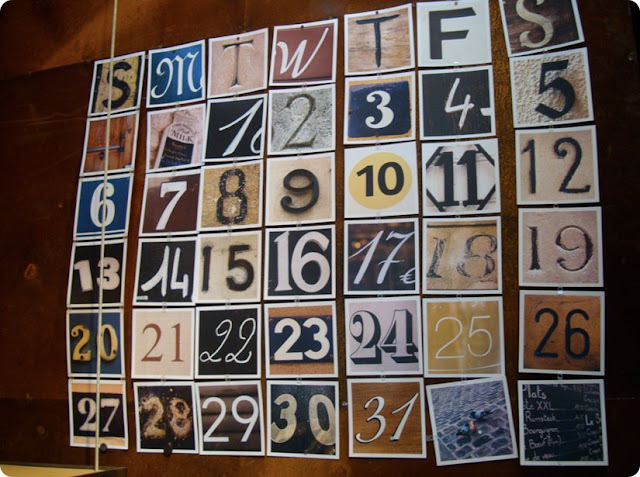 I've been thinking of a way to DIY a perpetual calendar for awhile now and this is great inspiration.